Q & Z Nursery (2011). Mini [6" tall x 14" wide]. Purple flowers mid season. 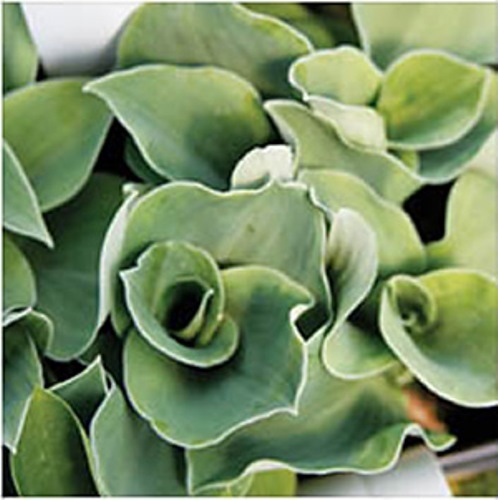 Hosta 'Ruffled Mouse Ears'. This sport of 'Blue Mouse Ears' differs from its parent by its green color and its wavy margins. The term "frilly" as been used to describe mature leaf margins. It possesses the same thick substance as it parent, making it resistant to slugs and other insects.